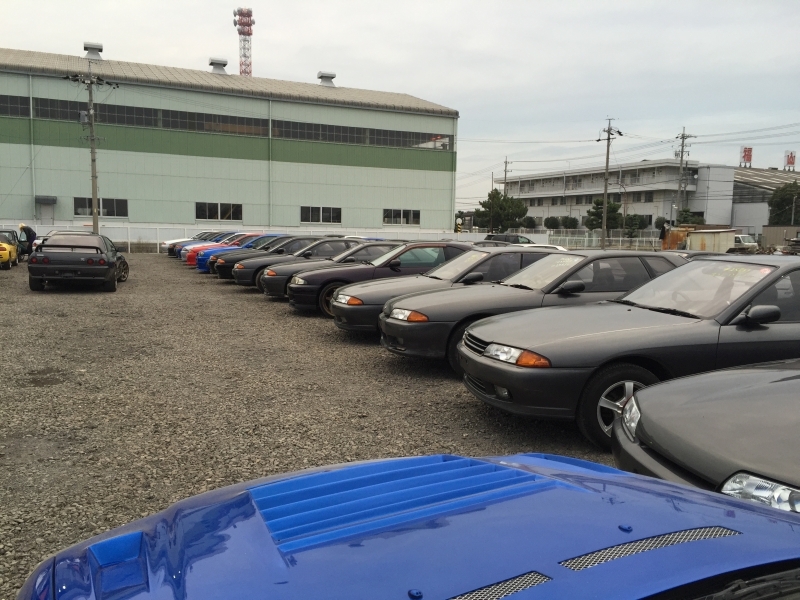 Is it possible to import right hand drive JDM cars to USA? Yes it's possible. According to NHTSA Importation and Certification FAQ, a motor vehicle that is at least 25 years old can be lawfully imported into the U.S. without regard to whether it complies with all applicable FMVSS regulations. So is it really so easy? Yes it is. The only condition is that the vehicle must be 25 years old at the time it arrives at the port in USA. That's all! No more complicated and costly process that requires professionals in all stages of purchasing, exporting, importing, local compliance and DOT registration. What documents are required to import a 25-year old vehicle into the USA? 5. ISF filing forum (helps you to file ISF). These documents are sent by us to the customer via express mail. Once the car arrives at the port you take this documents set to either your local customs office or a customs agent in order to have your car cleared. Can I import 25-year old cars into California? Unfortunately regulations in California are the strictest. In order to register car in California you will have to bring a car to compliance with some safety and environment requirements. As far as we know it is possible, but we do not have idea how much would it cost and what exactly must be made. If you are ready to go through all these modifications to be made you can order the car from us. Is it legal to drive RHD car in USA? Once it is lawfully imported you can legally drive RHD vehicles in the USA. Why is the 1994 Nissan Skyline cheaper than a 1990 Nissan Skyline? Going after Skylines made in 1992 will give you more flexibility with mileage, color and options in addition to a considerably lower purchasing price. So it is the matter of your preference: fast delivery against price and options flexibility. The choice is yours! If I buy a car that isn't yet 25 years old, where will the car be stored? One of the advantages we can offer is free storage of your vehicle until it turns 25 years old and can be shipped out. Our corporate parking lots can fit over 400 cars and we can take care of your car while it is waiting to be shipped. We have both free and premium storage facilities. First year of storage is always free. You will send me a car that won't start and with poor condition! Japan Partner guarantees pre-shipment inspection and maintenance. It is very important to have your car properly checked before shipping. The vehicle is 25 years old, and if anything needs to be serviced or replaced it is important to do it here in Japan where parts and know-how is readily available. Japan partner Inc has over 12 years experience in maintenance, along with a wide range of repairs done to Skylines of all generations. We inspect your vehicle and conduct any required work upon your request within the shortest fasted period of time available. Can I purchase a Nissan Skyline R33? No. Unfortunately, it is not possible at the moment. Nissan Skyline R33 will become legal for import to the US in 2020. We do not ship cars to USA that are likely to be seized and crashed. I want to buy 25-years old JDM car that you don't have in your stock. We can search for any japanese (JDM) or even european (like Porsche, or Mercedes-Benz) vehicles based on both your budget and other details such as mileage, color, options and et cetera. We have a variety of well-established purchasing channels that we can effectively utilize in order to purchase a desired vehicle within your budget. With our “on order service” we will agree on total price including shipping to your closest port, and you can be assured that there won’t be any hidden costs You will have a clear understanding what you will be getting and for how much in total delivered to your port. So there is no any way to buy any Nissan Skyline R33 or R34 and bring it to U.S.
Well. There is such possibility - compliance with U.S. safety and environment standards. Importing must be performed only by registered importers. A very complicated and costly process that requires professionals in all stages of purchasing, exporting, importing, local compliance and DOT registration. And still without guarantee. Not all vehicles can be complied since it requires costly technical testing that cannot be positively conducted on all models made in Japan. All in all, compliance by registered importers is long and very costly process that often ends in more fees and time than you were prepared for. I heard that I can bring a limited edition JDM car to U.S. This is a little known loophole in bringing JDM (Japanese domestic models) and in particular Japanese high performance cars. The difficulty is in the availability of the limited edition models and consequently their price. Limited edtion cars are very rare and very expensive at the moment. However, on the Japanese market they can still be found cheaper than in the United States. We have an on-order service where you can try to find such vehicles for yourself. But don't think that you can buy an ordinary Nissan Skyline R34 this way. How much is the shipping to U.S.? Shipping cost to U.S. is $1100. Shipping companies that we work with deliver to the main U.S. ports: New York, New Jersey, Baltimore, Newport News, Savannah, Jacksonville, Galveston, Long Beach (Los Angeles), Tacoma (Washington). Shipment to other U.S. ports is possible only in containers, which are very expensive in comparison with RO-RO shipment. But if you decide to ship in a container, then we can also load spare parts and engines that you may need for maintenance, in your business, or private use. Containerized shipment is an option for bulk/volume buyers. What happens if the car arrives to U.S. but it is not yet 25-years old? This will not happen. We will time the shipping so that you can receive your car just in time it turns 25 years old. I currently work/serve in Japan. Can I purchase a car and then have it shipped/exported to USA? We offer full range of services for customers temporarily or permanently residing in Japan. 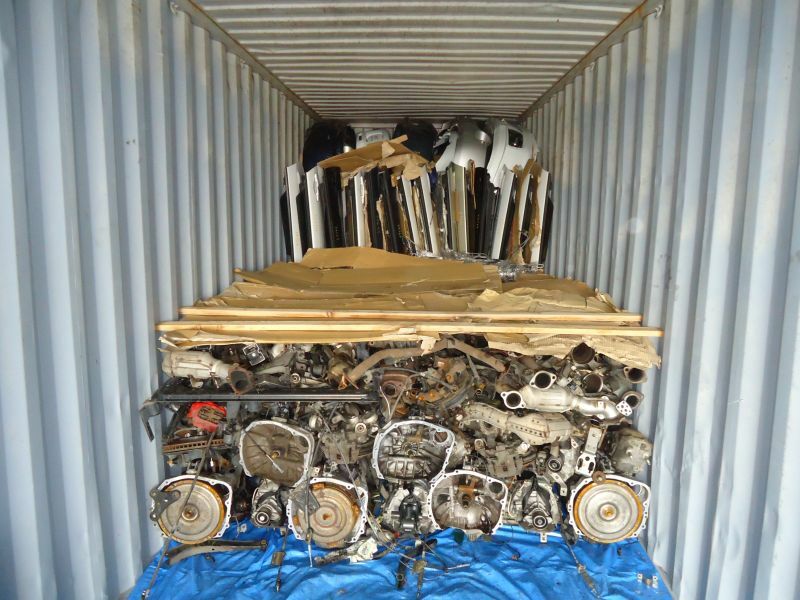 We can sell you any quantity of used JDM cars to be dismantled for parts and shipped in containers. Not only we have a 12-years experience in cars dismantling for our bulk buyers and all necessary licenses and facilities, but we also offer most competitive conditions for our partners. If you are a bulk/volume buyer, contact us for negotiations regarding this option. Unfortunately we do not offer financing option because we operate in Japan and cannot make agreements with banks in U.S. Payment must be sent in full for the car and ocean freight in order for us to ship you a car. However if you are a U.S. serviceman in Japan we can assist with financing through Navy Federal bank in Japan (please contact our sales department how we can help you with it). Do you sell new/used parts for japanese cars? We sell only limited number of parts that we have in used parts stock. Also if you purchase a vehicle from us, we will provide after-sale support in terms of maintenance advice and parts if you need it in the future. This is a very important advantage, especially if you plan to bring the car from Japan to your native country, because of difficulties with service and aquiring car parts for JDM models never exported from Japan, in your countries. Unfortunately we do not search for car parts for the customers who haven't bought cars from us. We have been exporting used cars from Japan for over 12 years; selling more than a 1000 cars each year. We are member of the JUMVEA association since 2004; and we have a large yard full of used cars. Land is very expensive to purchase in Japan and very easy to lose if you conduct unfaithful business. Only large companies like Japan Partner can invest in land in Japan because large companies plan to operate for years, not just cheat and disappear like it happens with small private entrepreneurs. You can read reviews from real people who bought cars from us with links to their social profiles. Any other reasons why we should choose Japan Partner? 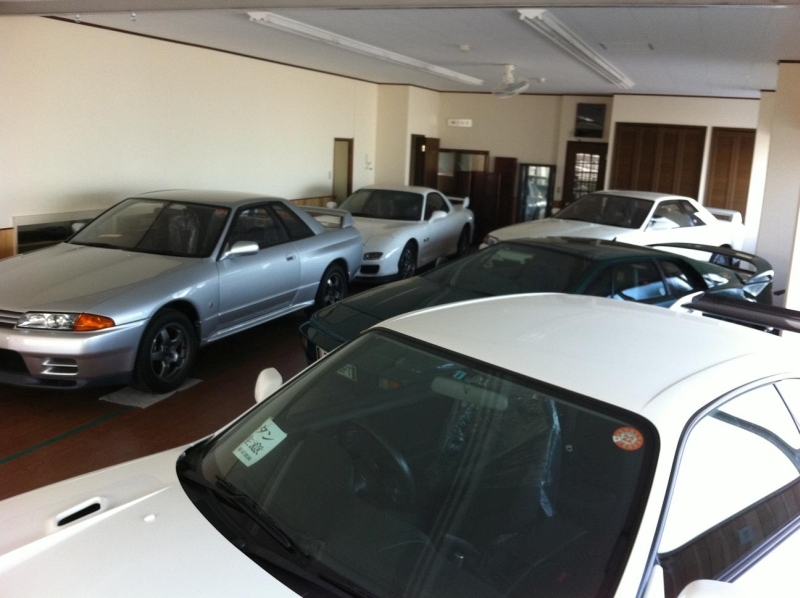 Buyers of JDM cars from U.S. are our preferred customers. We always strive to offer best service! None of the japanese companies can offer you the same spectre of services and choice of 25-year old cars. You can visit our yards yourself and inspect the vehicles you would like to buy. Our personnel will do their best for a mutually beneficial cooperation between our clients and the company. Actually only our company has a large stock of Nissan Skyline cars and have enough experience to choose best cars from japanese market for our customers. We have processed and shipped over 670 skylines up to date internationally, and have unmatched hands-on experience plus knowledge regarding maintenance and repairs. If you buy Skyline from us, you won't recieve a car with rust all over, or with serious problems with engine. Japan Partner also provides installation or modification of aftermarket performance parts, which can then be fitted on the purchased vehicle prior to pick-up and shipment. So what should I do to buy a JDM car from your company? First of all, you need to register at our site to get more quality service, choose a car you would like to buy and make an order. After that, if it complies with U.S. laws you will receive an email confirming that this car is still available, and it's not booked by other customers, of which you must reply to confirm. We will then issue you an Invoice that we require to be paid within 5 days. Please note, that if you don't send us a confirmation that you have paid the invoice within 5 days, it might be sold to another customer.